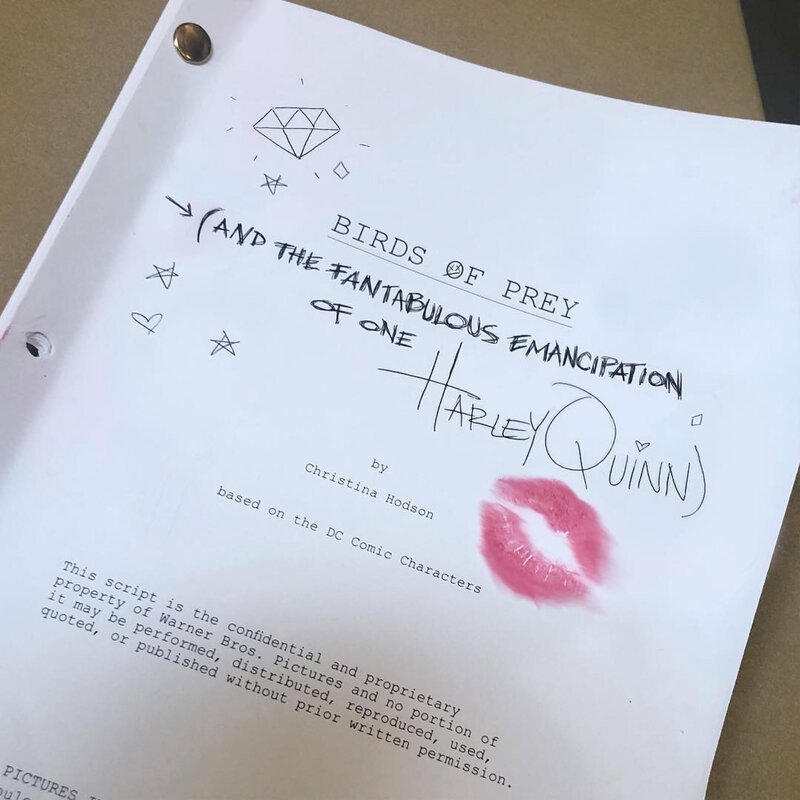 Two days ago saw Warner Bros. and Margot Robbie announce the official title for the Birds of Prey movie with "Birds of Prey: And The Fantabulous Emancipation of One Harley Quinn." I didn't find the title to be that big of a deal because, at least to me, it meant Harley Quinn is going out on her own minus the Joker, which is similar to what happened with the comic book story. Some fans didn't feel that way for some reason, and I have even seen fans attacking Margot Robbie over it, which is ridiculous. Now Harley Quinn co-creator Paul Dini chimes in on Facebook and says he loves the title. "I love the new movie title because I often have Harley scribble nonsense and wacky thoughts all over things, like her therapist's pad, or my introduction to the Sirens book. So this subtitle reads as classic Quinnsanity to me. One more thing to be thankful about this week," Dini posted. I have to agree with Paul Dini and don't think the title is a "reflection" on Margot Robbie's ego (really?) but does have everything to do with the character as well as the tone of Harley. The plot is rumored to include that Batman has been missing for years, which might explain the rise of the Black Mask in the DCEU, and that the Black Mask kidnaps the young Cassandra Cain to mold her into an assassin, with Harley Quinn, Black Canary and Huntress coming together to rescue Cassandra and put a stop to Black Mask.